At work, we can be challenged by the task of dealing with difficult people—including, sometimes, our own employees. Managing difficult employees becomes an issue particularly when employment and incentive contracts become a subject of controversy. Take the case of the New York Yankees. When their superstar Alex Rodriguez rejoined the team after his yearlong suspension for using performance-enhancing drugs, Rodriguez made an unexpectedly strong comeback. As of June 14, 2015 he had met a number of key baseball milestones, most notably passing Willie Mays on the career home-run list after hitting his 666th. This turn of events helped the Yankees on the field, but created a certain degree of consternation in the back office. Back in 2007, well before A-Rod’s reputation was tarnished by steroids revelations, he signed a $30 million “milestone home run” marketing agreement with the Yankees that included a $6 million bonus for tying Mays’s record, the first in a series of escalating milestones. The bonus options were “dreamed up in what feels like a different lifetime,” writes David Waldstein in the New York Times. 2007 was a stellar season for Rodriguez, and some believed he could become baseball’s new career home-run king. Because the sport does not allow performance bonuses, A-Rod’s were framed as a marketing deal. The Yankees had expected to market the milestone homers as historic events by selling T-shirts, videos, and other paraphernalia. Those plans collapsed in 2009 when Rodriguez admitted to using performance-enhancing drugs. These days, “A-Rod is pretty unmarketable” as a result of the scandal, sports marketing expert Bob Dorfman told the Times. Consequently, in January 2016, the Yankees began putting together a legal case to block Rodriguez from collecting any of the bonuses due to the likely negative financial repercussions of the doping scandal, according to Andrew Marchand of ESPN.com. In February, the Yankees alerted Rodriguez and his lawyer of their intention to withhold the funds. The two sides had a strong motivation to negotiate a settlement in order to avoid an arbitration hearing that could become an embarrassment, as Rodriguez’s contentious 2013 hearing to appeal his suspension had been. In May, Wallace Matthews reported for ESPN.com that Rodriguez, having no stomach for another public battle, planned to ask the Major League Baseball Players Association to file an appeal on his behalf against the Yankees for failing to pay the bonuses. The case seemed likely to wind up in arbitration, a process that could take months to unfold. In the workplace, we often find ourselves dealing with difficult people—not just those with difficult personalities, but those whose actions and statements cause us significant trouble. When you are dealing with difficult coworkers and handling difficult employees, the Rodriguez story may offer some useful insights. 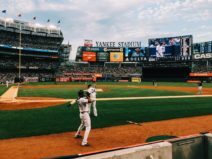 In particular, if you are wondering how to manage difficult employees, the Yankees’ A-Rod dilemma reminds us of the importance of ensuring that employees don’t have a reason to become disgruntled—and difficult—in the first place. In negotiation, it’s impossible to foresee every possible eventuality. But when making contracts that will be enforced in the future, we do owe it to ourselves to imagine a variety of scenarios, such as the possibility that an employee will fail to live up to our expectations or even suffer an irreparable blow to his or her reputation. When negotiating bonus contracts, for instance, you might limit them to a year, if possible, rather than trying to predict what might happen many years down the road. 2. Keep it out of court. Although it can be tempting to escalate disputes to the level of a lawsuit when we are dealing with difficult people in the workplace, it can be smart to try to negotiate a solution as quietly as possible. In a lawsuit, it’s true that one side will win, but both parties could see their reputations suffer in the wake of negative publicity. 3. Find a way to work together. Interestingly, Rodriguez continued to perform relatively well for the Yankees amid the dispute over his bonuses. The fact that he and Yankee management continue to have a decent working relationship serves as a reminder that it’s possible to compartmentalize your differences with others. A dispute on a particular issue need not be the end of a strong working relationship. How do you manage difficult employees? While the case of A-Rod is extreme, the post offers some useful tips.